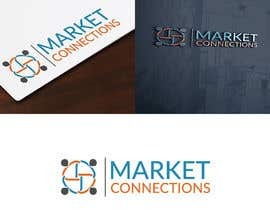 Our business is named Market Connections. 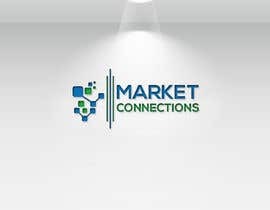 We work with small companies to help them get their product/service into the marketplace via multiple channels like: retail, direct to customer, and in some instances even multilevel marketing. We get our clients increased sales, help them reach more customers, and gain exposure for their products/services. Most businesses tend to forget the importance of growing their business offline in today's world everything being done online and we show them how an strong offline presence also builds and grows their online sales. We are thinking more in the blues and greens but will consider other color combinations...no pastels please. If you're unclear about what we do please ask for clarification. Thanks for helping us with our logo!! Hello sir , please check my design .entry number #212 #213. Please give feedback.then i can improve my design .thank you. Please check entry #197 #198 ..thank you . Thanks for submitting, however it looks too much like it belongs to a sports organization. Also not crazy about red. We will update the contest to reflect we are thinking more in the blues and greens but will consider other color combinations.